European officials are warning of a potential economic slowdown across the Eurozone, stemming from the ongoing budget standoff between Italy and the EU, lingering Brexit uncertainty, and a persistent threat of disruptions to international trade. Kristian Rouz — The Commission pointed to the elevated risks of a debt and banking crisis in Italy — as the nation's proposed budget for the 2019 fiscal year is seen as bearing risks to its fiscal sustainability. Additionally, officials said a potential escalation in global trade tensions and the uncertainty in US-EU trade relations could affect economic growth across Europe as well. Moreover, the Commission said the still unclear terms of the UK's separation from the EU could pose risks to investment both across the Channel and on the continent. "Trade tensions have not quietened down yet," Pierre Moscovici, European Commissioner for the Economy, said. The Commission said the Eurozone's economic growth could cool to 2.1 per cent this year. This compared to the 2.4-percent GDP expansion posted last year — which was the highest since the global financial crisis of 2008-2009 and the latest European debt crisis of the early 2010s. The Commission said the threat of a new debt crisis, potentially stemming from Italy's budget woes, could drag the Eurozone's growth further down to 1.9 per cent next year and to 1.7 per cent in 2020. This comes despite the projections of an ongoing economic expansion in Germany, whose powerhouse economy is showing no signs of slowdown despite global trade tensions, which could potentially weigh on its exports. Moscovici said the Eurozone's growth over the coming years will greatly depend on domestic factors — exclusive to each individual member state of the 19-country bloc. For example, the Economy Commissioner pointed out, consumer spending and a stronger wage growth in some countries could lift the Eurozone's GDP expansion higher, whilst debt issues and banking sector turmoil in one particular country could impair the bloc's economic outlook. More recently, the EU reiterated its call for Italy to review its 2019 budget proposal, urging Rome to reign-in spending and seek ways to improve budget revenues. The EU threatened sanctions if Italy fails to address Brussels' concerns. This comes as the Italian government has rejected any possibility of a so-called Itexit, saying Italy — the third-biggest economy in Europe — would remain in the EU and the Eurozone regardless of what happens. "Continued pressure from the EU, further rating downgrades and even higher risk spreads will force Rome to soften its policies by just enough in coming months to stave off an immediate debt crisis," Florian Hense of Hamburg-based investment bank Berenberg said. However, the populist Italian government and its left-leaning parliament appear to be unable to come up with a better budget. The populists — which include the Northern League and the Five Star Movement — insist on implementing tax cuts to boost economic activity in the private sector, whilst left-wing parties are adamant about maintaining elevated budget spending to support the public sector. 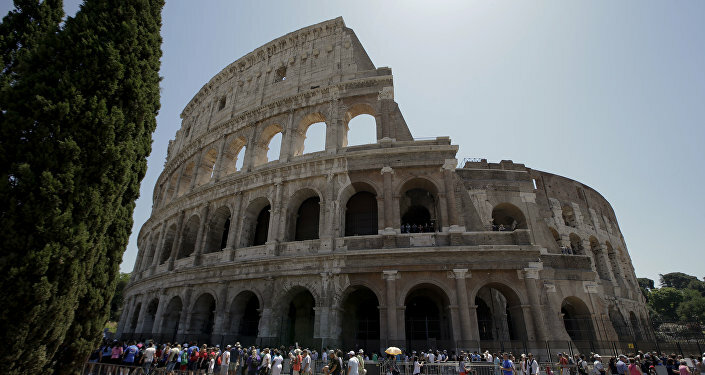 "Budget plans of the Italian government are a far cry from EU fiscal rules," Hense said. Meanwhile, the European Commission also said the Eurozone's unemployment would continue to fall through 2020, likely decreasing from 8.4 per cent this year to 7.9 per cent in 2019, and to 7.5 per cent in 2020. But the Commission also said it is highly concerned with the sustainability of the Italian economy as a whole — not just the nation's unstable budget and national debt. The Italian economy could slow to 1.2 per cent next year, European officials said — which is below the 1.5 per cent currently projected by the Italian government. The Commission also said Italy's budget deficit could rise to 2.9 per cent in 2019 — compared to the 2.4-percent increase forecast by Rome. Italy's pre-populist budget deficit was below 2 per cent and in line with the EU's fiscal rules. Italy's debt-to-GDP ratio stands at some 132 per cent, and the EU has warned Rome against accumulating additional debt or issuing new bonds. However, the Italian government says its policies fall in line with the supply-side model recently tested in the US, allowing a projected expansion in the tax base to make up for the loss of revenues due to lower tax rates. But European officials say a supply-side model would require a greater degree of austerity in the form of cuts to budget spending. "There cannot be a sort of negotiation on this," Moscovici stressed. For its part, the coalition government in Rome has so far rejected all the EU's proposals, but budget talks between the EU and its third-largest member state are poised to continue.